Bar and Grill | RDU Gonna Eat That? Sunday Blues: tasty food and football at Manchesters! 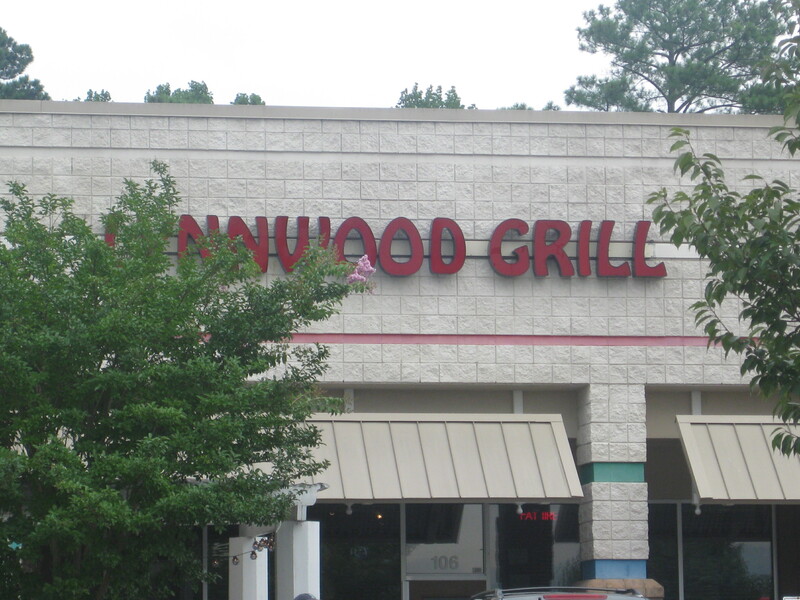 Well, rather than mope around as we often do on Sunday afternoons, we decided to go hang out at our favorite bar (Manchester’s Grill 9101 Leesville Rd # 153, Raleigh) and watch the Packers play some football! Man vs. Food is gonna be in going to my lovely hometown of Springfield, IL. According to the blog post that I have linked they will be taping at Cozy Dog Darcy’s Pint and Joe Roger’s Original Recipe Chili. I would like to start by making the embarrassing admission that we never got around to going to Raleigh Times (14 E Hargett St Raleigh, NC 27601) for the first 2 years that we lived here. 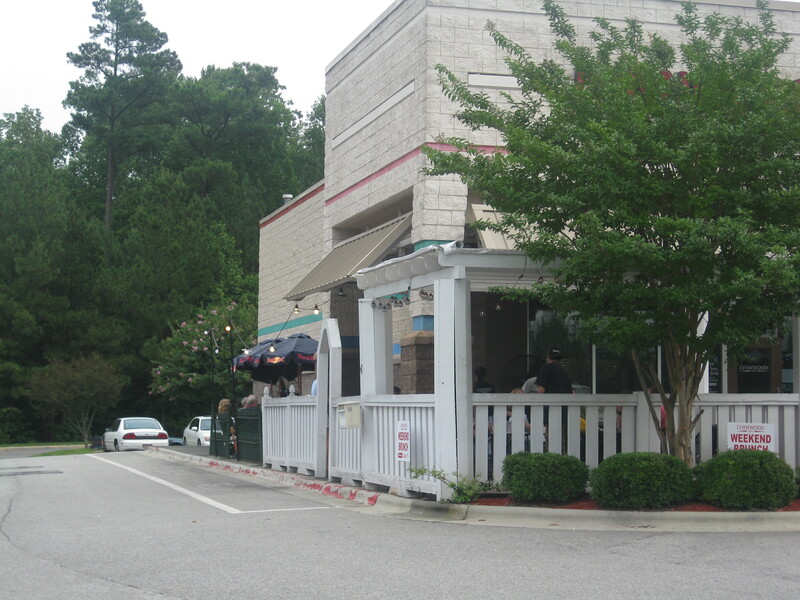 I have no idea why as I had always heard great things about Raleigh Times, and I think I had been there at least once for a cup of coffee shortly after we arrived in Raleigh. However, it took my little sister coming to visit from Illinois in July for us to truly indulge in the awesome that is Raleigh Times. 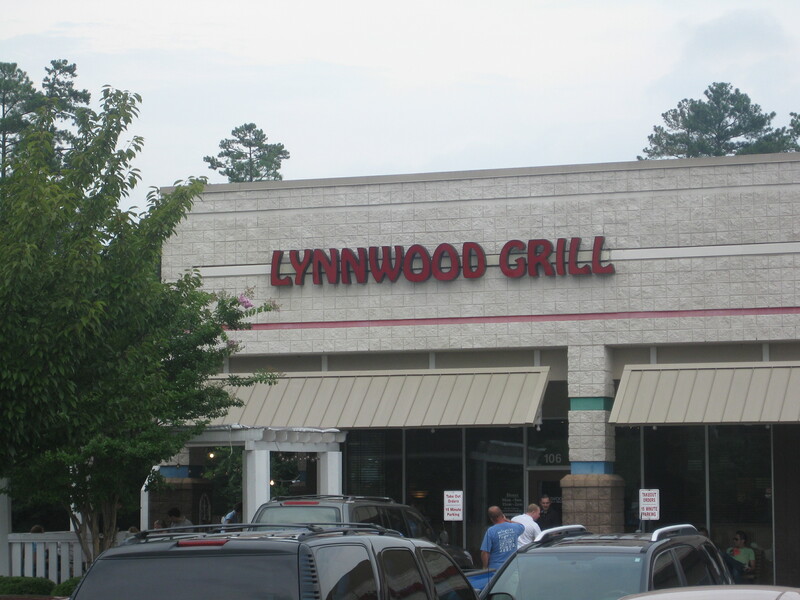 Well, it came down to “Rock, Paper, Scissors” on this one, so I get to lead off with one of our haunts, Lynnwood Grill ( 4800 Grove Barton Rd, Raleigh, NC27613-1902). I’m a sucker for any place where I can drink a good beer outside, plus I can’t think of a better way to wrap up a movie over at Raleigh Grande. What could be better than a pre-show drink, stumbling into a good flick, then back for post-show review, fried pickles, and more beer? (Note- “RDU Gonna Eat That?” does not advocate public drunkedness, slurred insults at the movie screen, or throwing popcorn while intoxicated…not that we have ever done that).